Bit of shameless self-promotion here. Just been played on BBC Introducing this evening! I'll endeavor to come along and see you guys (again) if you're playing fairly local. We've just released our new single "Devils Chase Him" - available on all the usual formats. The launch night for this was on Friday where we were playing with L.A. Guns of all people! Can you get ARH to sign you up to his label? I'll be honest - didn't like the video, but the music is great. I'd come to see you play if you ventured South. 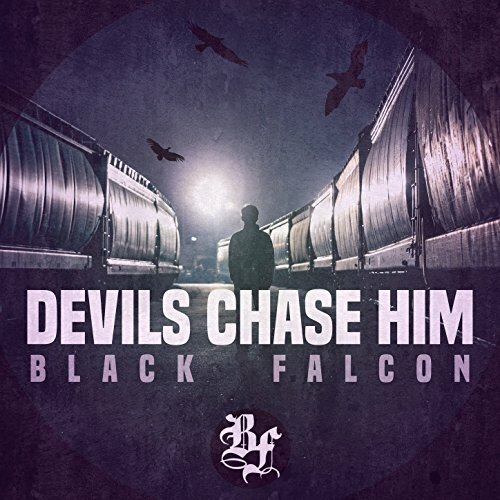 Delivering riff-fuelled, distortion driven, harmonic and uplifting sounds since their inception in 2015, Black Falcon finally release upon the world their first full-length album entitled, "Turn Around And Face The Sun"! Following on from their highly acclaimed debut EP, "Living In Me", released September 2016, the band signed to MSH Music Group, and went on to release the follow-up single “Devils Chase Him,” as well as a video to the debut EP’s title track, which went on to receive over 3000 views in its first week. Alongside this, the band have played a string of hugely successful live shows throughout the UK, sharing the stage with the likes of L.A. Guns, and being the main support for U.S. rock giants Puddle of Mudd on the U.K. leg of their recent tour. Widely regarded as one of the most ludicrously thunderous, high octane and highly entertaining live bands on the scene, Black Falcon have cemented their place as a force to be reckoned with, both on stage and in the studio. "Turn Around And Face The Sun" is an anthemic, high-energy body of work, boasting Black Falcon’s own unique blend of heavy riffage, smooth grooves, blistering guitar solos, thumping bass and gigantic lyrical hooks, all which salute the bands influences from decades gone by, and create a unique rock and metal sound. Turn Around and Face the Sun promises to be a turbocharged upgrade to Black Falcon’s classic sound, providing you an album of songs which you will not be able to forget. Brilliant - how do I get hold of a copy? And will you sign it for me?